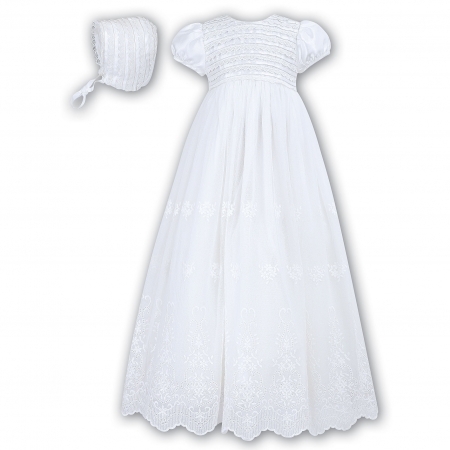 Beautiful traditional white gown from Sarah Louise for christening /baptism. Fully lined. Multi layer net with flower embroideries. Frills across chest. Matching bonne. Made with quality 100% polyester outer and lining. Net is 100% nylon. This baby gown is in stock and available to buy in person from our shop in Ashford Middlesex. Please come and visit us if you live near by.